When you pay more to purchase insurance to protect yourself from uninsured and underinsured motorists (UM/UIM), you expect your insurance company to pay up after a wreck. But a Texas Supreme Court case called Brainard v. Trinity Universal Insurance complicates things unnecessarily, forcing you to go to court first before your company has to pay you. 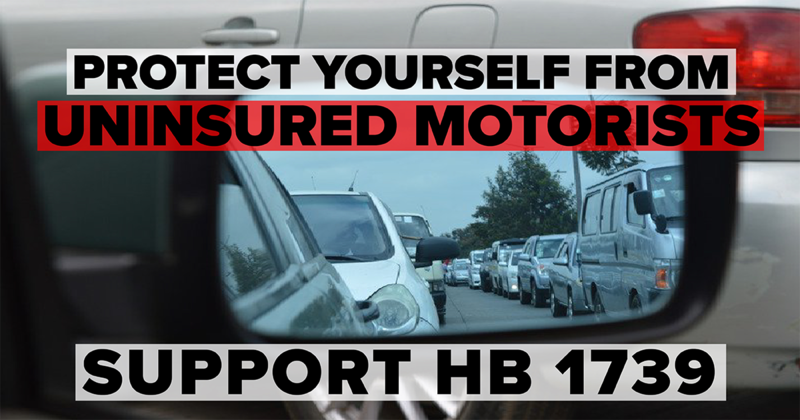 HB 1739 by Rep. Charlie Geren will restore your rights, making your insurance company offer to pay your UM/UIM policy benefits when "liability and damages have become reasonably clear." This means the coverage you have paid for will kick in sooner, protecting you and your family as you intended. Please take a few seconds to tell your lawmakers to SUPPORT HB 1739, so you will get what you paid for!